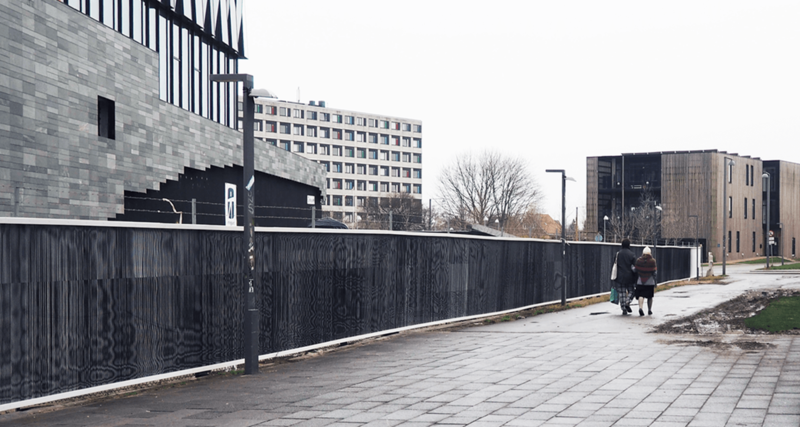 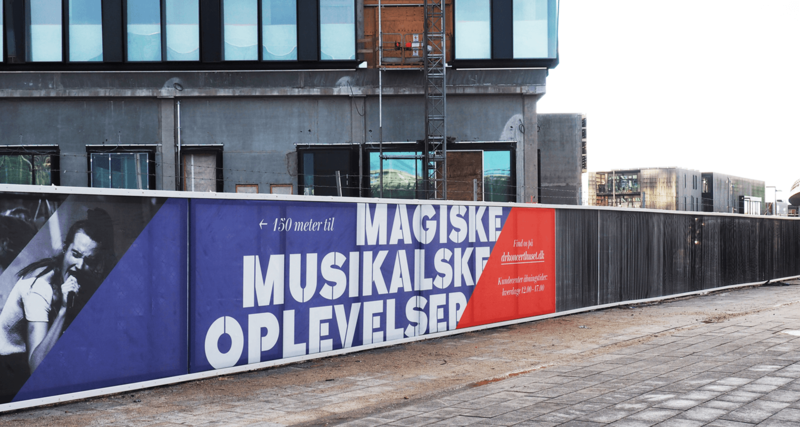 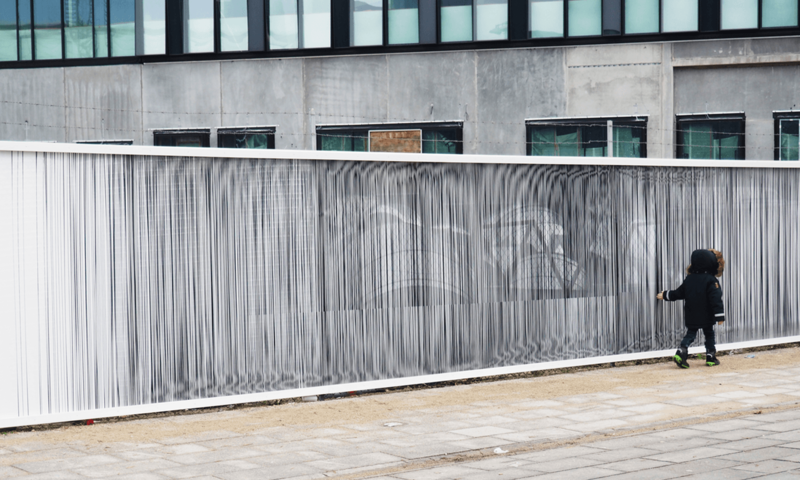 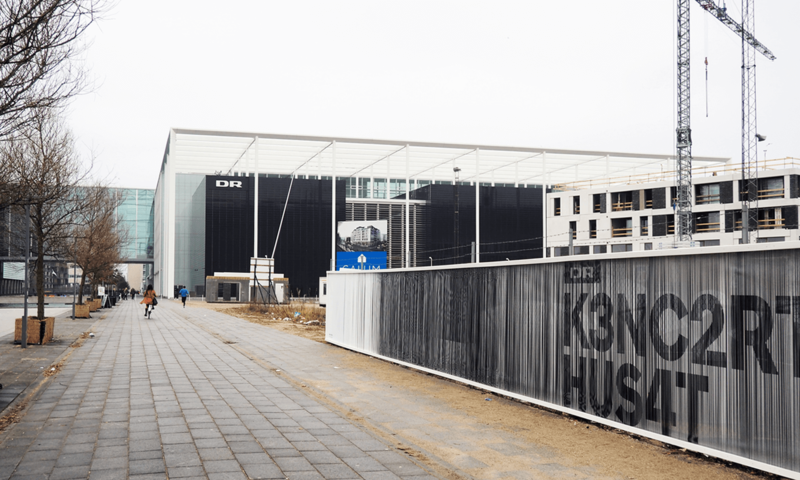 Decoration of a 138 meters long building site fence by DR Byen metro station in Copenhagen. 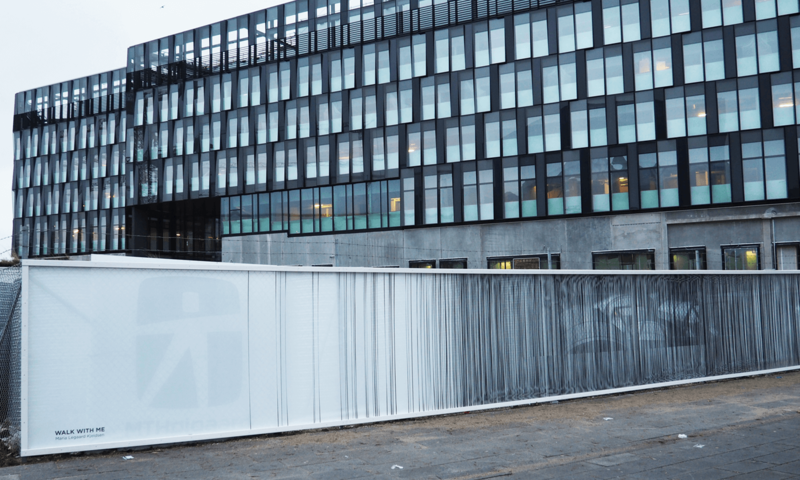 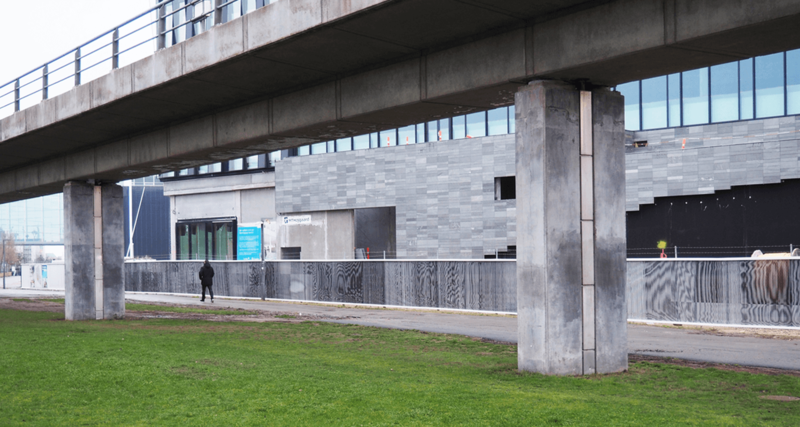 The decoration has been designed to make the path by the station a little more fun for the passing pedestrians and cyclists, while Nordea’s new headquarters is in construction. 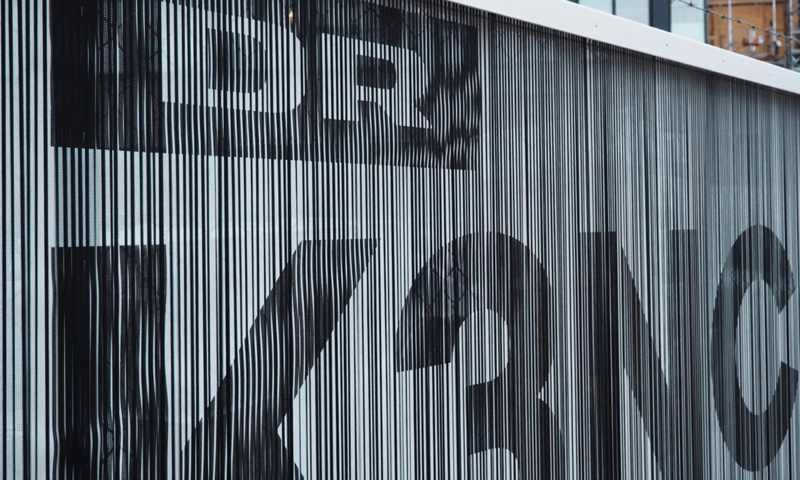 A background of perforated graphic banner and a front of elastics create a moiré effect. 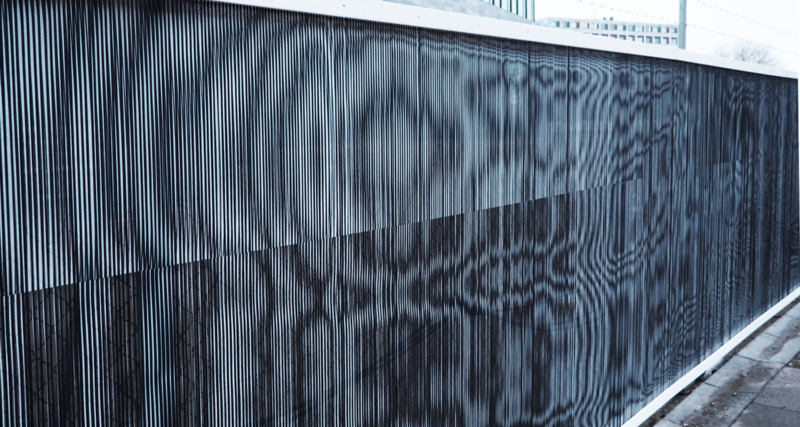 The installation is enhanced by the wind, with the movement catching the eye, inviting some to stop and explore the patterns and follow the fence up close. 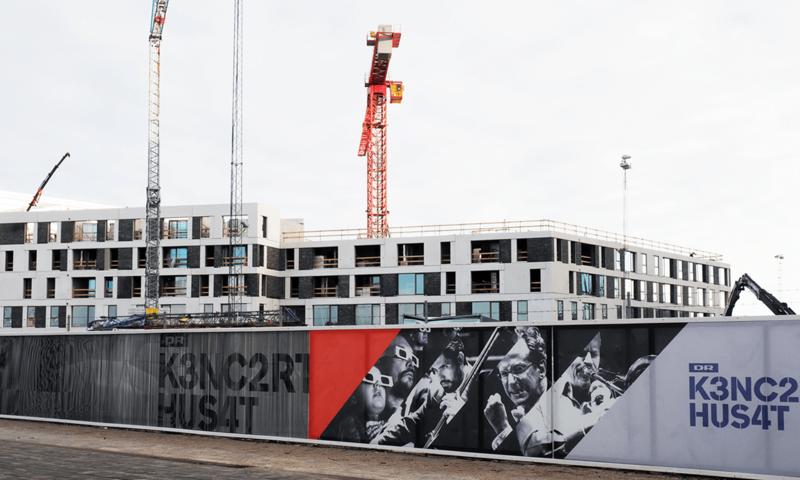 The installation also provides display for the DR Concert Hall, which is located next to the building site. 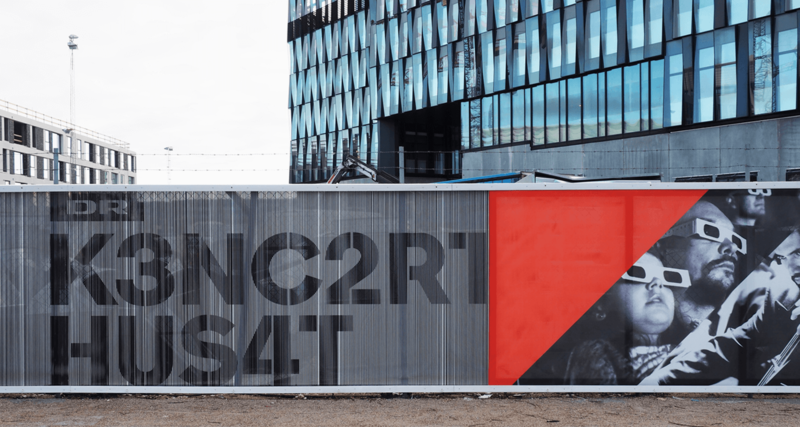 Giving associations to screens and test pictures the installation underlines the sender.